Exciting innovation penetrates all industries through technology. Real estate professionals resisted for some time, but have recently prevailed. Agents, brokers, and entrepreneurs now take advantage of technological advances to gain a competitive edge in already aggressive industry. Today, the newest trend has blossomed: the 3-D virtual tour. Now, more than ever, foreign investors are dominating the U.S. commercial real estate market. Singapore recently surpassed Chinese buyers in the booming multi-family and industrial markets. Prosperity glistens in a trail left behind by these wealthy foreign investors. These investors can now preview respective properties from anywhere in the world. While thousands of commercial properties are listed every single day, and time is becoming more valuable. It is nearly impossible to view every property, push through the white noise of the market, and schedule times convenient for all parties. This evokes the question: how do we work smarter? It’s all possible with 3-D virtual tours. Technology like Matterport, a 3-D camera which allows users to scan a space, upload to the cloud and share and engage with clients. An all-in-one property visualization, right in your web browser or virtual reality headset. Hundreds of prospective buyers can view the same property, for any length of time, how often they want, when and wherever they want. 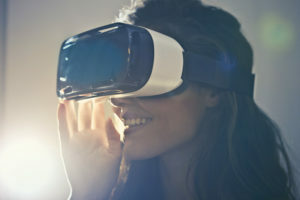 Now through the power of virtual reality, our customers can preview the property just as if they were really walking on site. For questions on this technology, Matterport, and how we employ technology to market commercial and property management listings please contact 928-277-8211.